Stila Magnificent Metals Foil Finish Eye Shadow - $42 - in 4 new shades: Comex Platinum, Metallic Jade, Metallic Lavender and Metallic Cobalt - a one-of-a-kind, buildable, high-metallic cream eye shadow with a striking foil finish with which you can create a variety of effects - use alone for a light, sheer shimmer or combine with the included Stay All Day Liquid Eye Primer to create a high-metallic opaque..
Stila Stay All Day Liquid Eye Primer - 7ml - $26 - creates long-lasting adhesion that helps prevent creasing and fading as well as stopping shimmer fallout on the cheeks. This is the same stuff that comes in your Magnificent Metals kit so it's a great replacement for the primer if it runs out before the shadow does, or use it with other shadows for the same great benefits! Stila Magnificent Metals Eye Liner - $33 - in 4 shades: Black Tanzanite, Black Gold, Gunmetal and Navy - with a formula that contains black no. 2 and features a new, cutting-edge technology that allows a hint of glistening glitter to shine through for a unique, multi-dimensional metallic finish. Use it as a liner or as a super smoky, opaque eye shadow. Stila Magnificent Metals Eye Liner Applicator #36 - $24 - a double-ended applicator created to easily and expertly apply Stila Magnificent Metals Eye Liner. One side features a skinny silicone tip to draw a thin, precise line while the other side has a wider, chiseled tip to create a thicker line for added drama. 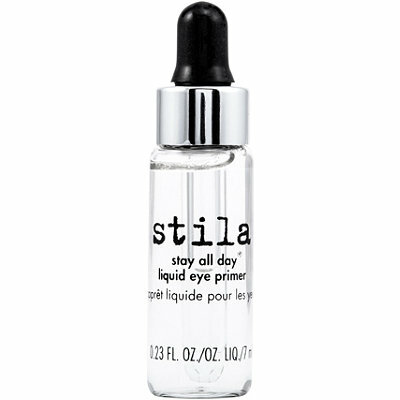 Available now at Sephora, sephora.ca, Shoppers Drug Mart and Murale stores across Canada.